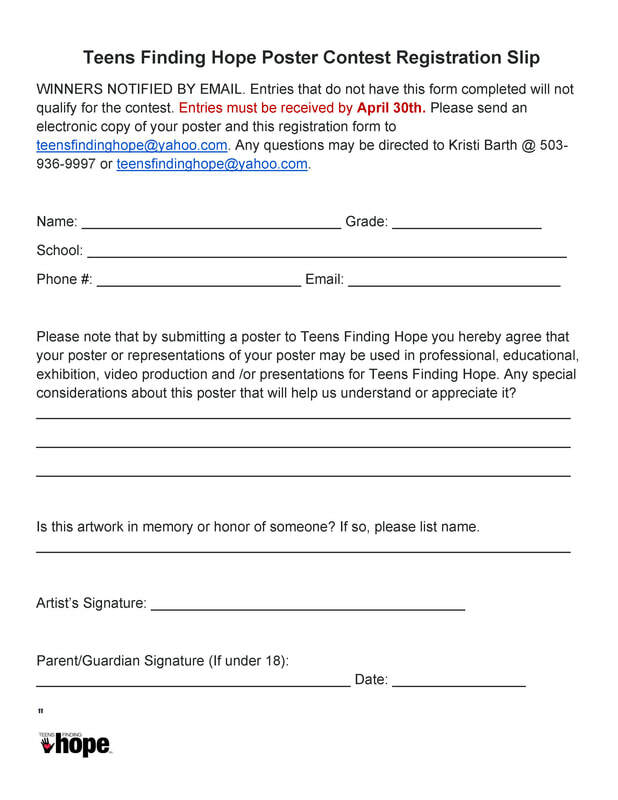 Teens Finding Hope Poster Contest - Teens Finding Hope, Inc. 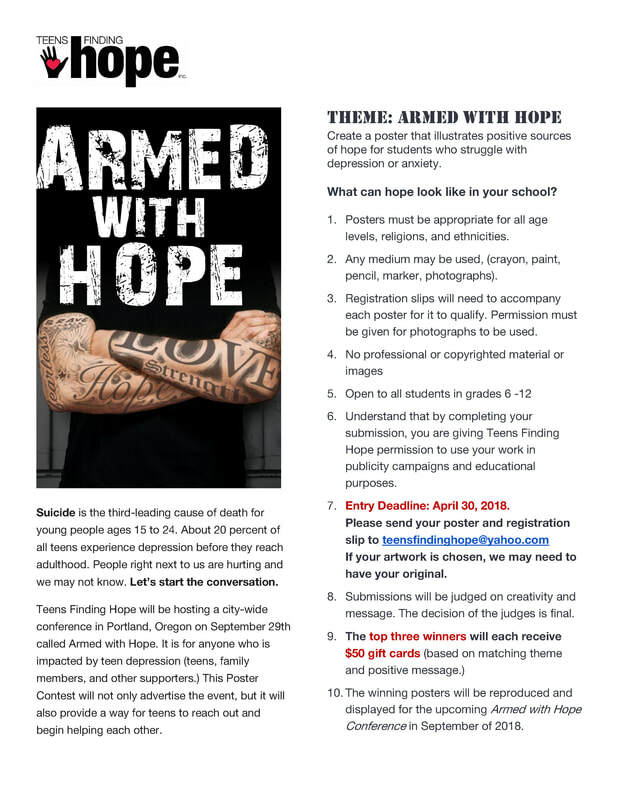 The Armed with Hope Poster Contest will not only advertise the event, but will also provide a way for teens to reach out and begin helping each other. Poster Theme: Armed with Hope -- your task is to create a poster that illustrates positive sources of hope for students who struggle with depression or anxiety. Download the ​Poster Contest information flyer and registration slip or you can click on the images below to download the information flyer and the registration slip.